Closing a Chapter and Letting It Be | So What? I run. PREFACE – This was written on 2/13/15. I wasn’t ready to publish this until now. 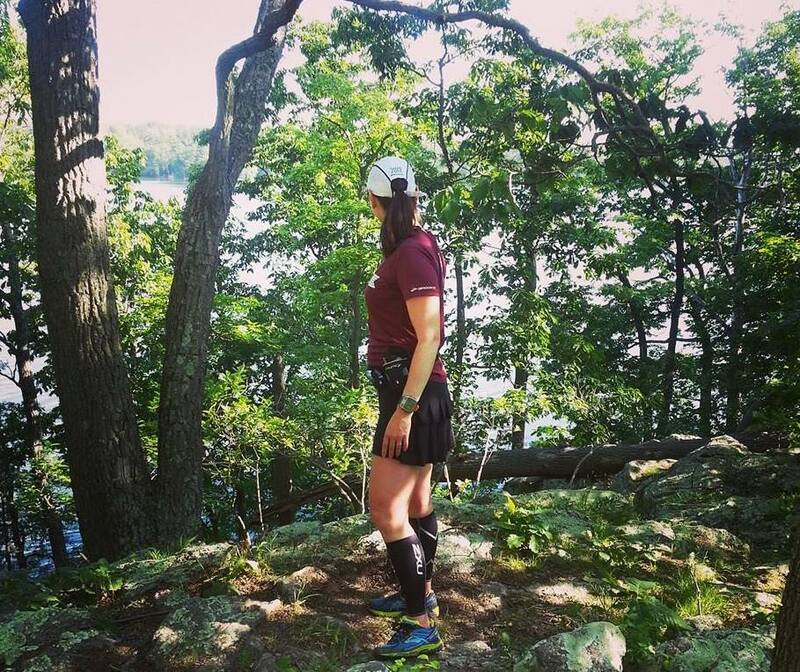 My blog about running has always included my personal triumphs and struggles not only with running, but through my personal journey. And while I’ve captured glimpses of my personal life in my writings, I don’t think I’ve ever bared so much. To put yourself out there for the world to pass judgement on you is scary. So, why do it? Because I’m not the only one out there going through stuff like this. And if it helps someone not feel alone, then it’s worth being vulnerable just for a moment. Throughout our lives we are constantly opening and closing chapters in the book we call Life. Our book is filled with many beautiful chapters and of course, some that are not so great. The process of starting ending or starting a new chapter can either be exhilarating or painful, or a little bit of both. I am currently in the midst of this. It’s a funny thing when you know something is coming…and you’ve known for a long time that it was coming…that when it finally happens, your reaction is not what you anticipated. When my husband suggested that we get a divorce, I really didn’t know what to say, except “sure, I’m not really happy either.” I had expected that I would fall down to my knees like a blubbering fool, but I didn’t. I said okay and sat silent. He then made me a peanut butter and jelly sandwich and we watched TV. The words that we both wanted to say were finally spoken. There was nothing else to say. So we just let it be. It took me a few days to get past the numbness that I felt, but I got past it. And I can’t say that at the time I was devastated. After all, it was time. We have loved each other as much as we could for over 20 years, but sometimes, it’s just not enough. We have struggled to keep this going for a long time and if we weren’t friends, it probably would have ended long, long ago. We had our differences, but we never disrespected each other. We both tried the best way we both knew how to keep it going, but sometimes, our best really isn’t good enough. As I start to pack my boxes and prepare to move out, the reality of closing this chapter in my life is settling in. It hurts. And I’m sad. And I guess I’m a little angry too. For me, it is a sign of failure, which has always been one of my greatest fears. And I’m disappointed that this fairy tale didn’t have the happy ending that I thought it would have. But, I’m okay with it. I have to be. We are parting ways very amicably, thank goodness. While we have both been frustrated with each other for a long time, we don’t hate each other and there’s no reason to. We both want to find happiness and we both want each other to find happiness too. We just couldn’t find it together. And that’s okay. Some people are meant to be together forever and some are meant to be together only for a moment. I am thankful for the support of my friends and family. They are always there for me in my time of need and I’m very blessed to have them. I’m also thankful for running. I’m sure I’ll get asked if running was the cause of the end of our marriage, but it wasn’t. Looking back, I think running was my escape. It was where I could find the happiness that I couldn’t find at home. Without it, I wouldn’t have the confidence and strength to end this chapter with grace. Running has been my saving grace. So, now what? While these next few months might prove to be to be a challenge, I’m looking forward to starting my new chapter. I have a lot of traveling coming up for both work and pleasure, and I’ve got a lot of running to do. I’m looking forward to spreading my wings and finding out what it’s like to fly with a light heart and a free spirit. I’m looking forward to trying things that I have had to put on the back burner for a long time. Heck, I just may pick up my old guitar and learn to play again. There are many possibilities and the world is mine to conquer. And baby…I’m ready to conquer! Lyrics used in this post are from “Let it Be” by the Beatles. POSTFACE – In the month since I wrote this piece, I have to say that it gets easier every day. I am very busy with work and while winter training put a wrench in my training, it probably was a good thing. The snow days allowed me to get my personal affairs taken care of and now I’m all clear for Spring training. And while I have my moments of reflection, overall, I am happy. This entry was posted in Motivation/Coping/Personal, Personal by SoWhatIRun. Bookmark the permalink. Sandy, I have loved following you. I hate that you are going through this, but it sounds like you will come out even stronger. You seem to be such such a strong & courageous chick in my book. I love your heart & spirit! So glad you have running, Zoey, & Ernie (not too long ago we had to put my Ernie cat of 17 years to sleep). Be strong & #plowon, my friend! Thank you so much Jennifer! xoxo! Sorry to hear about Ernie 😦 Much love my friend. Yes!!!!! So freaking true! ❤ Muah! I’m sorry to hear about this but having seen your determination and toughness I have no doubt you come out on top. The Bible says, “a just man falls seven times and rises up again”. I’m sure you’ll do just that! I love your attitude and wish you the best. Success to you my friend. Thank you so much for your kind words. I’m bracing myself for when it hits…I’m expecting it between miles 75 and 80 of my upcoming 100-miler. Wouldn’t that be just grand. LOL! So sorry it didn’t work out, Sandy. Running was something I turned to when my wife told me it was time for me to leave. At the time, it was a way to get back into shape to win her back. That didn’t work, but I got myself back. I stumbled across your blog training for HAT last year and have enjoyed reading about your triumphs and tough runs. (On the Rocks really was brutal – nearly did me in!) Anyway, I wish you luck in this next leg. Sandy, 😦 I’ve been in your shoes yet I still find myself at a loss of words for comfort. So please, hang tough, chin up, keep running, and know that you can call on me or the countless friends you have made by being such an inspiration. I admire you for sharing your story, for handling the pain and not using this as a forum to speak negatively, for showing your strength of character. I pray you will continue on your path, finding love and laughter in the next chapter of your life. I tried leaving a message on “The Tweeter” (an old Davy Johnson line), but wanted to take more than 140 characters to commend you for such a great post. That had to be SO hard to write. It was also done very classy, and very well. This stuff isn’t easy. Online readers, even some friends, aren’t ENTITLED to our personal lives just because we have a social media account, blog or Tweet inappropriate jokes (that part is me, not you, lol). This was a lot of courage and character to come out and say, and you’ve got nothing but the best of wishes and thoughts for your future. I made the mistake to blog (a little too much) about some family law drama that was happening in 2013, although I had the sense to delete it (and not blog about ANOTHER aspect that was worse). Because it was too raw, and I was hurting too much. You did this so well, and may the trails bring you lots more solace and healing. Also, if you pass me in any more ultras, maybe save me some cookies?? Hello there, my friend. Thank you for your support and hope that we can “run” into each other soon. I promise I’ll bring the cookies! Thank you for sharing your story. I wish you all the best toward whatever may lie ahead. That picture of you is fabulous. Sandy, you’re an inspiration… always have been. I’m going through a divorce right now and reading this eloquently written piece gives me personal hope. As always, thank you for continuing to inspire me. I’m sorry that you have to go through this. I know it’s not easy. You’re stronger then most people I know. If ANYONE can power through this, it’s you. ❤ Run on friend. Side note: Great picture. Thanks and kudos for sharing. You’re right, you’re surely helping others going through similar or other challenges, whether you ever get to know it or not. Sandy, you are such a strong and incredible woman! You have handled this with such grace. I am sorry that you are having to go through this, but sometimes we just can’t make it work. There’s a good chance I may be going through the same in the future and this makes me hopeful that there is a way to do it amicably. I love you dearly! Add I am always here for you!